48 Hour Adventure goes to Russia! After a fast-tracked, rush for a visa last week, I’m stoked to announce that I’ll be taking on Russia this weekend! The trip is in conjunction with the British airline bmi, who are promoting their flights to Moscow. Along the way, I’ll be taking hints and tips from bmi’s Russian fans on Facebook so I can soak up everything Moscow is about from the locals. I’ll also be getting heaps of photos along the way also, and be (hopefully) live tweeting the whole thing. This is a true “48 hour adventure” in every sense. I’ll be flying out of London Heathrow late on Friday night for a four hour flight over to Moscow, getting into Domodedovo airport at about 5am on Saturday morning. Thanks to the four hour time difference to London time, the flight schedule works out really well. I’ll get in just on sunrise, ready after (hopefully) a decent bit of sleep on the plane to take on the Russian capital. I’ll spend all of Saturday and Sunday exploring before flying back to London at about 7pm Sunday night. I am so uber pumped about this trip. This is MOSCOW man! You can’t get much less western and far from what you’re used to than Russia. 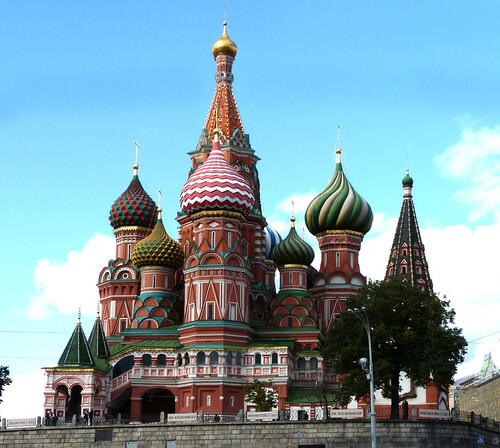 Straight up, I can’t wait to check out St Basil’s Cathedral and the Red Square. Getting around on the Moscow’s Metro will be an experience in itself as well, with the ornate interiors and intricate lighting inside each station (this is where I think I better get my head around a few Cyrillic characters, because I’ve heard none of the signage is in English). Then there’s The Kremlin, the centuries old walled fortress, filled with buildings representing Russia’s historical past. 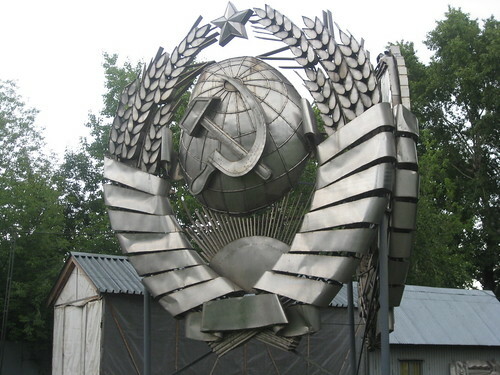 Gorky Park is apparently where all the former Soviet Union era statues are as well (like in the photo above), so I’ll definitely pay it a visit (especially during this time of year when the weather is really good). What else should I check out while I’m in Moscow? Anyone know any good bars or cafes that do traditional Russian food? Oh, and VODKA BARS. If you know any, let me know in the comments! That’s really awesome, have a blast. Looking forward to the recap! Hi guys, great to meet you! Would love for you to help show me around this weekend if you’re available. I’ll send you an email. Hi, Justin! I just love your idea about 48 hours adventure in Moscow, and would be glad to help you out with advise and showing you around. I would also recommend you to include Red October area to your list, very trendy modern Russia area full of clubs and bars, it used to be a Chocolate factory back in the soviet times. You’re not the first person to recommend checking out Red October now Ksenia. Definitely sounds like an area I should check out this weekend! You should check it out for 100%, quite similar area is Vinzavod, which has more art galleries and art style shops, you can also visit Moscow City and even check one of the towers, great view. Plenty of soviet style buildings (Stalinskie high-rise buildings), i.e MGU (Moscow State University) where you would get great panoramic view of the city. Btw my colleagues at work are working on the travel blog about Moscow and cool places to see: -) would be awesome if you could share your experience about your trip to Moscow with us. What a fantastic preview! To say that I’m jealous is a pretty big understatement 🙂 Absolutely can’t wait to hear about it, have an amazing time! Justin, I’m going to return in Moscow in Saturday evening and we’ll sail on small boat on Moscow river near Kremlin. Boat will pick up us near Red October (I recommend Strelka bar and Gypsy). After that we will take small walk in real summer night in Moscow! Awesome man, can’t wait to read the report! Wow! What a cool experience!